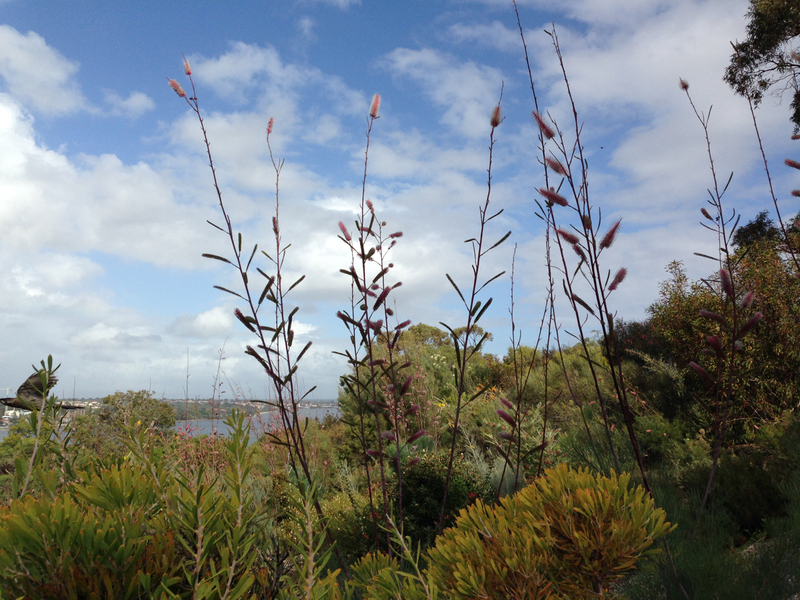 I think every Australian should visit Kings Park at least once in their life. 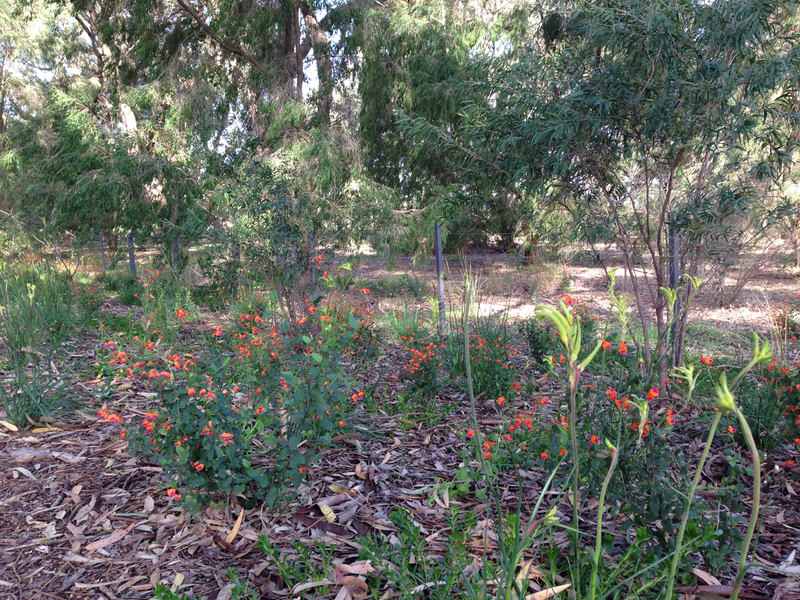 It’s hard to think that you could possibly pay a visit and not fall in love with our native plants. 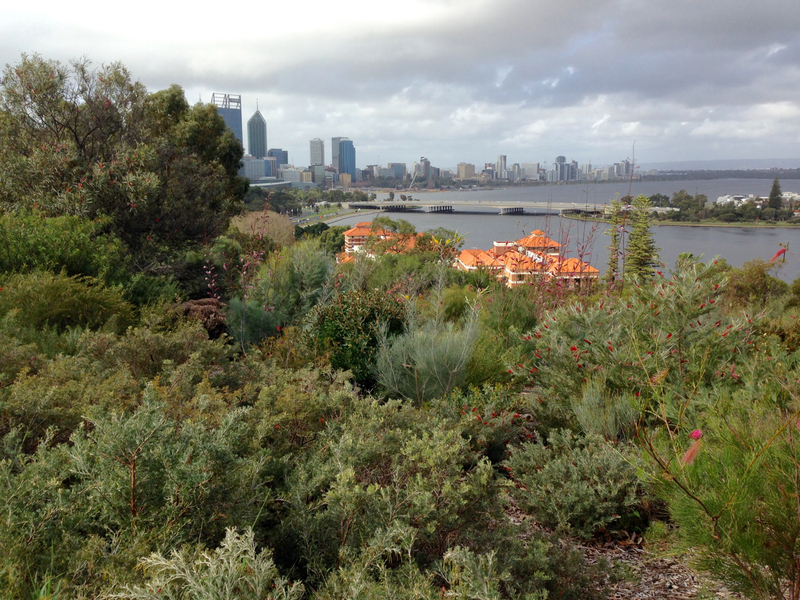 From (almost) virgin bush to curated collections and home garden-style plantings, all looking out over the beautiful Swan River and city skyline, it’s a truly wonderful place. But you’ll note that I do say ‘Australians’. Because I’ve learnt something recently. Whilst I pretty much love all plants, I’ve realised that the love of plants is really quite complex. 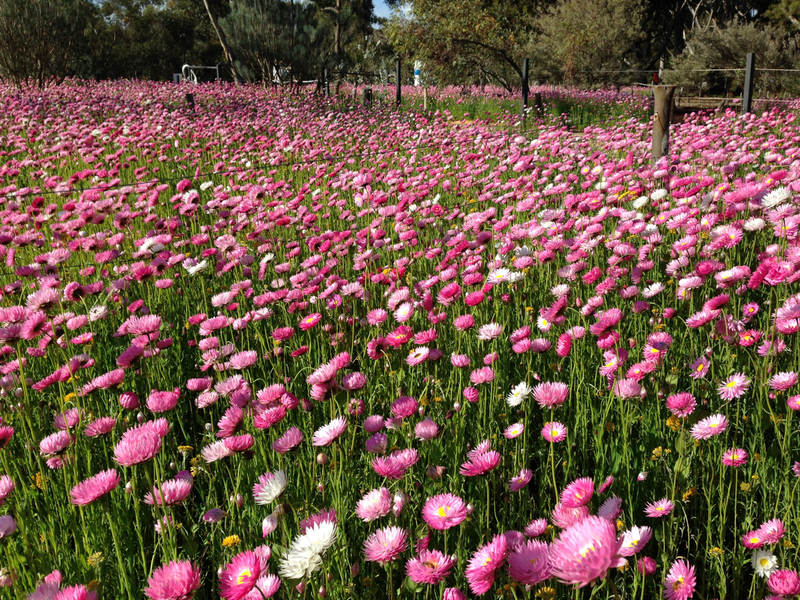 You see, after my visit, I casually uploaded the photo above, of Kings Park pink everlasting daisies, to Twitter. Being a newbie to Twitter, I was pretty amazed to see 28 retweets and ‘favouriting’ of it. ‘Gosh, people liked that’, I thought. 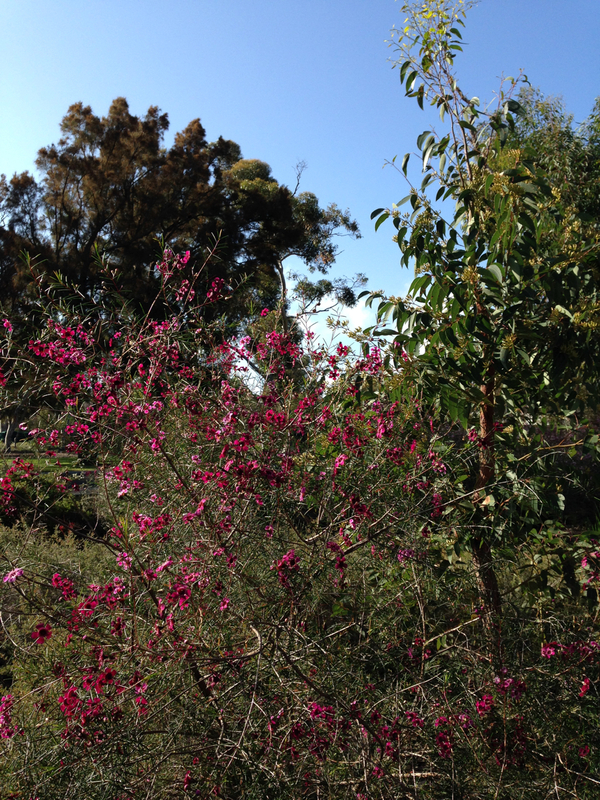 The next day, uploading an even more stunning Kings Park photo (see above), I was ready for hundreds of clicks. I waited. And waited. And waited some more. Not a bite. Not even one. Zilch. Nada. Nothing. Being full of the joys of Kings Park, this actually left me feeling pretty down. Yes, the bright pink daisies have a lot of impact, but really? I just couldn’t see that they were a patch on the second scene. Why could people not see this? What is it about natives that draws a blank? It really did make me despair. All these people missing out on so much. 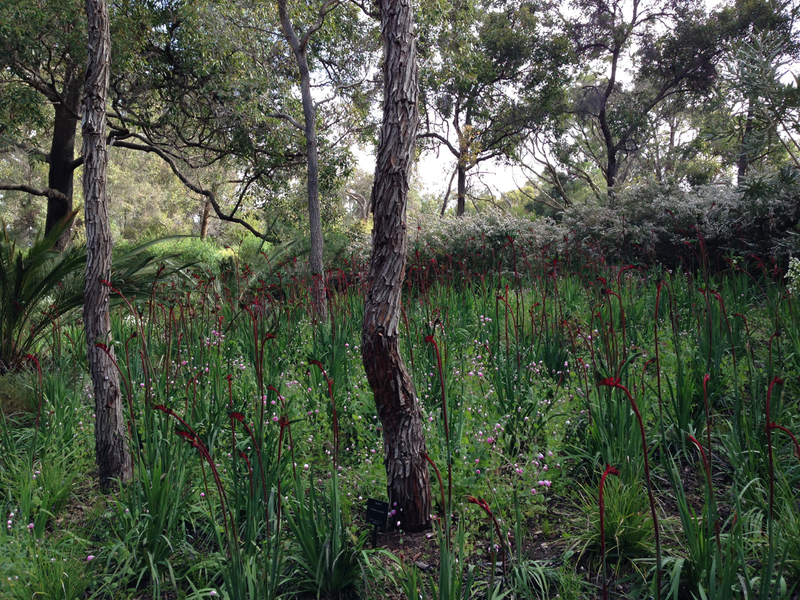 A meadow full of Kangaroo Paws in Kings Park. Wowee! The following week, I decided that my scientific Twitter experiment wasn’t actually all that scientific. Perhaps it was just co-incidence. Maybe I just got lucky/unlucky with timings. So I decided to do a proper trial. I uploaded both the photos to my Janna Schreier Garden Design Facebook page. Both at the same time, on the same post, and invited people to state their preference. ‘Which photo appeals to you most?, I asked. Think English gardens are full of flowers? Within the hour, responses started coming in. Everyone liked the mixed native scene, photo number 2. The exact opposite of Twitter. Language such as ‘definitely photo 2’, ‘I love photo 2’, ‘photo 2 is just so Aussie’. 100% liked photo 2. No mention at all of number 1. My conclusion? Don’t, under any circumstances, try to do scientific experiments on social media. Later, one brave soul told me he liked the pink one. Followed by all the pinkies coming out. Three of them in a row. This was then followed by a whole succession of non-pinkies. My conclusion? That some vague recollection of something called ‘group think’, which we studied at university a hundred years ago, may actually have some truth to it! But when I’d stopped being confused, I noticed a pattern. The pinkies were broadly the English amongst the group. My cousin, Stephen, who, from the photos I see of his garden, is a pretty avid gardener himself, seems to be the exception. 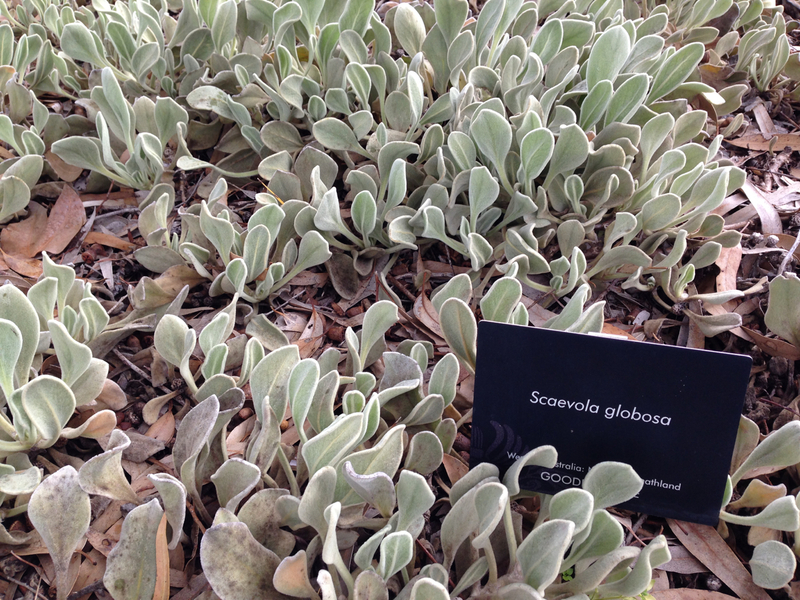 Scaevola globosa: native lambs ears? And then the light bulb came on. The gardening community on Twitter seems to be far more UK-focussed than Australian. And the English see gardens as places full of pretty, colourful flowers. That’s what gardens are to them. Gardeners, or not, they all appreciate a garden full of colour. One of the hardest colours to put a name to. Perhaps coral? Or salmon? 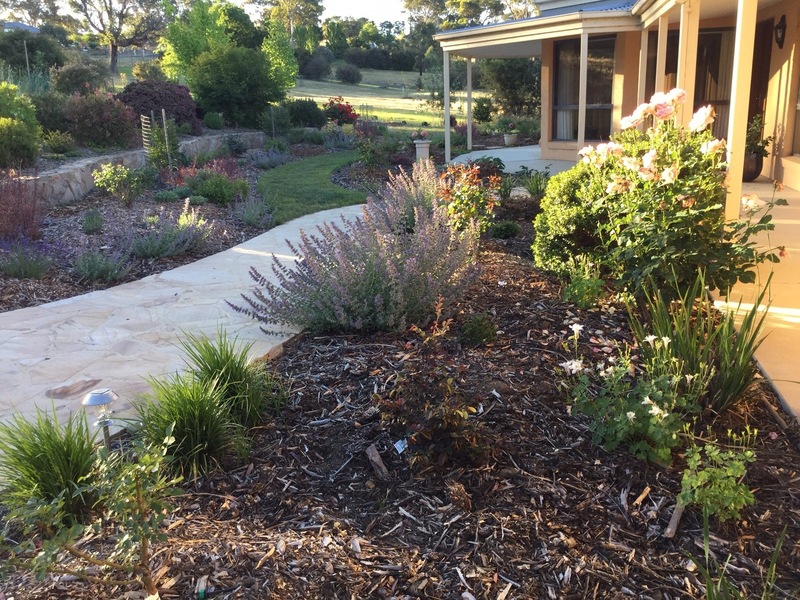 On the other hand, the smaller group of Australians engaging with social media garden posts, seem to be true garden lovers. Over time, they have come to love all types of plants and see the beauty in our indigenous, more muted plants. Not necessarily preferring them per se, but being very open to many plant types. In the Facebook survey, 100% of Australians preferred photo 2. Australian plants are very unique. But probably a bit of an acquired taste. Many are not that lush, not that colourful and have a fairly steady state throughout the year, rather than a big-bang, showy display and then months of dormancy. 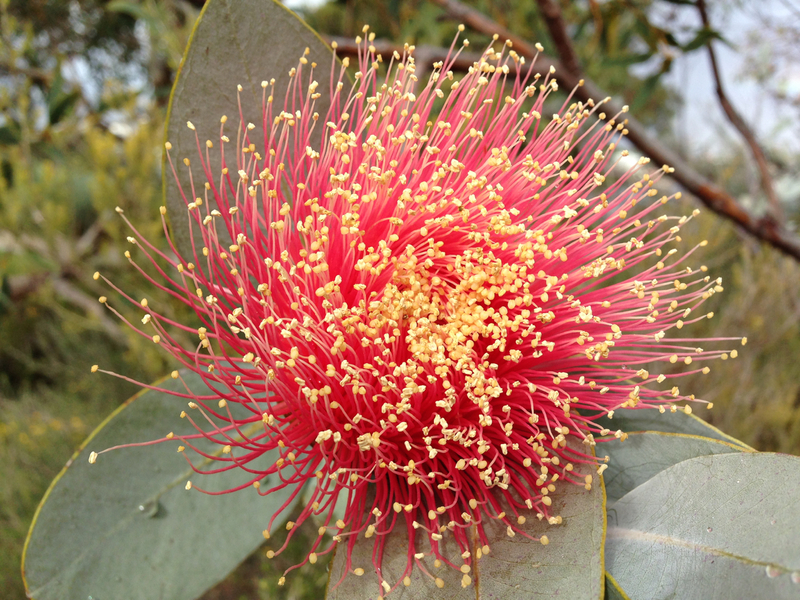 If you’ve never been to Australia, it’s not surprising that you look at our natives and think you’d prefer ‘exotics’ in your garden. Many would look out of place in foreign climes. 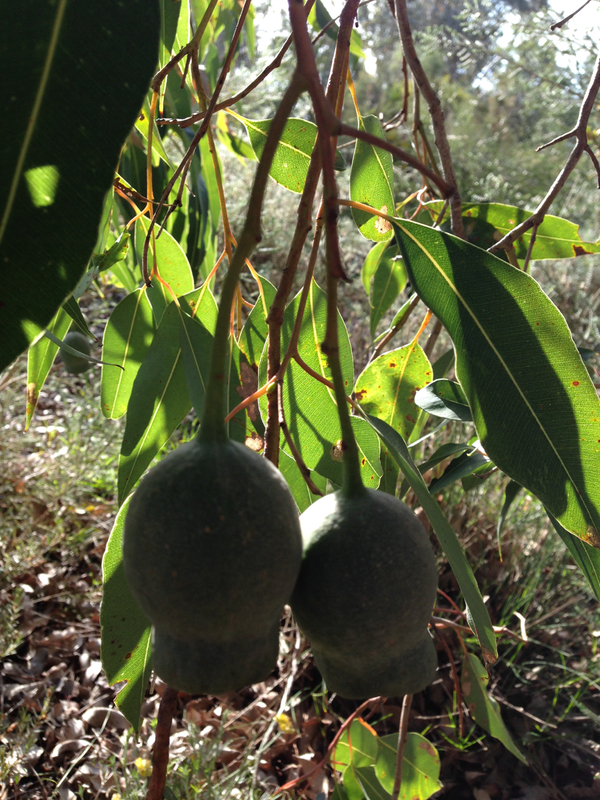 Honky nuts from the marri tree (Corymbia calophylla). Love that name! But as it turns out, the Aussies on Facebook really do enjoy their natives. What a happy revelation! 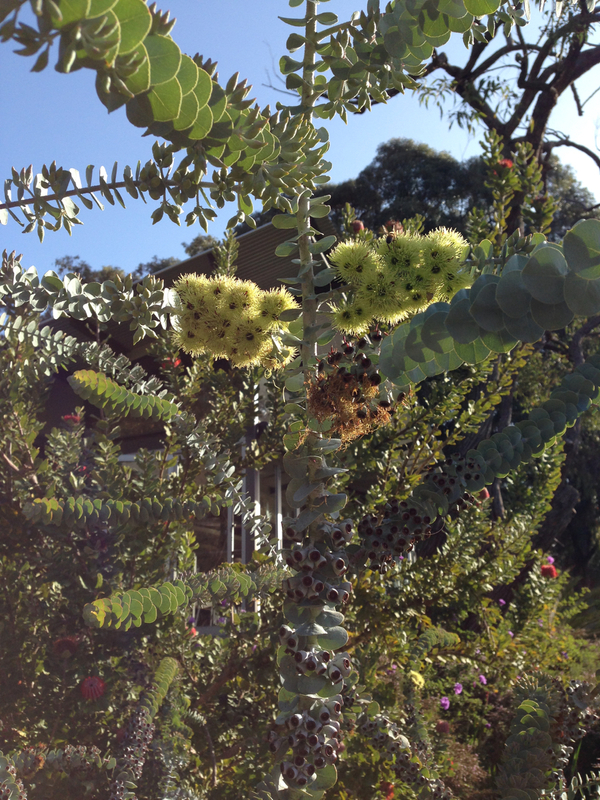 They don’t necessarily all have gardens full of natives (me, included), but they do see their beauty. Hoorah for the Aussies! Choice of plants in the garden, to me, comes down to taking cues from around you. 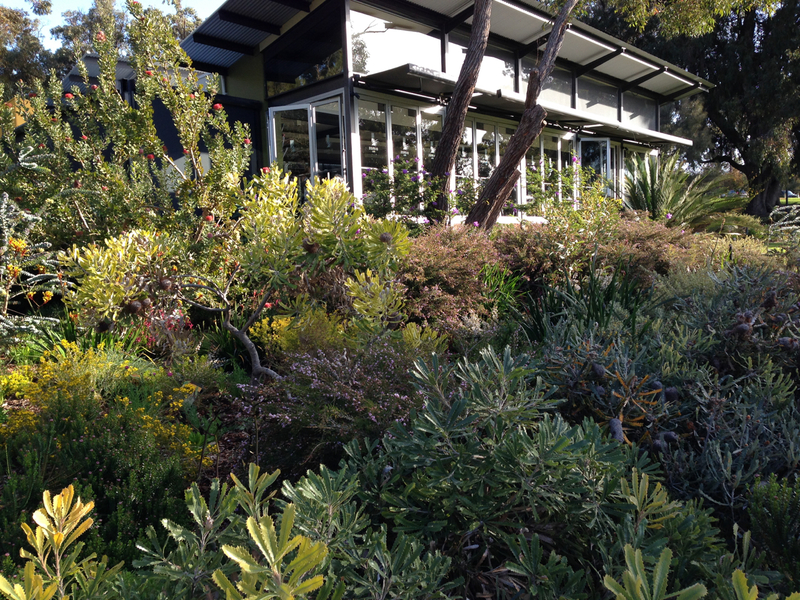 In my neighbourhood–and also in the trees in my garden, established by previous owners–bright greens dominate. 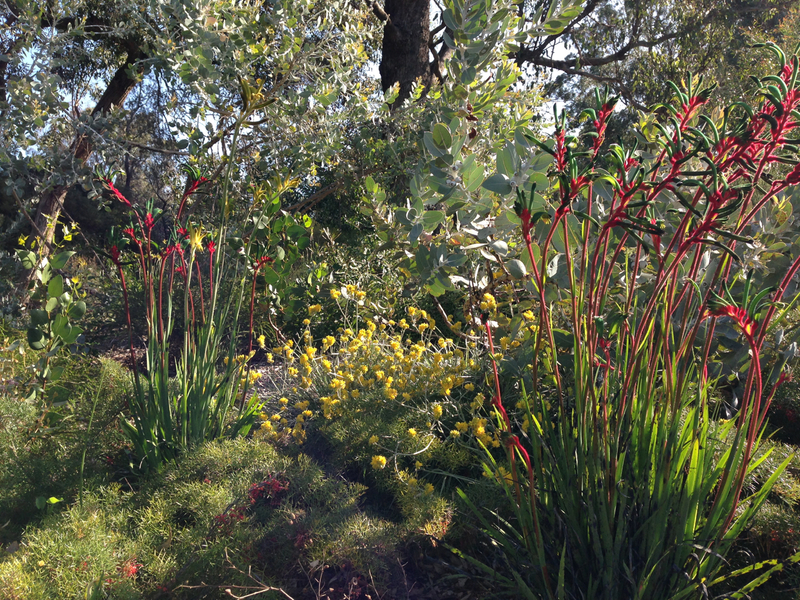 I’ve added some softer tones of Adenanthos, to provide contrast, I’ve added rich green Banksia and Grevillea and I’ve added brightly coloured kangaroo paws. 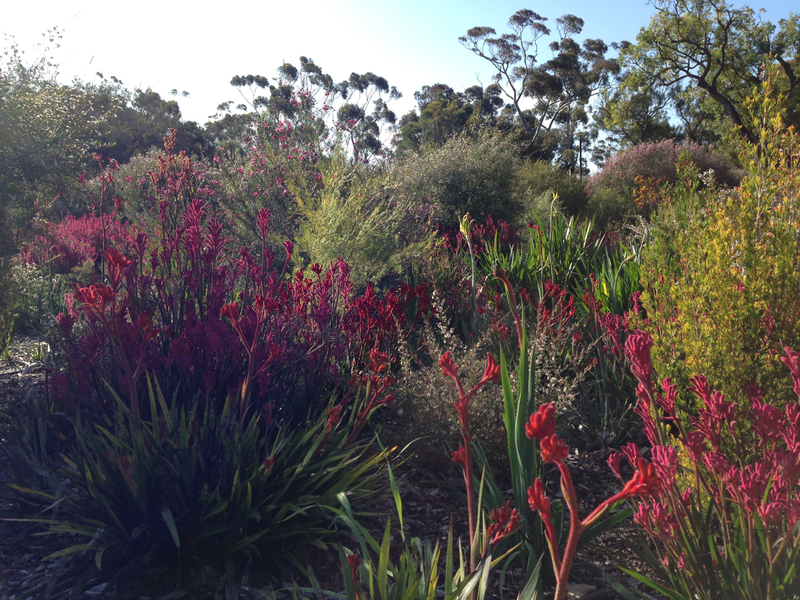 I’ve also snuck in some South African plants, many of which have an Australian feel, but with brighter colours. And whilst I have a lot more to do in my garden, I think the overall colour scheme broadly works. Some say bright light is best tackled head on with brightly coloured plants (think the tropics). Others say bright light suits softer colour schemes, to bring balance (think lavender greys of the Mediterranean). To me, the perfect garden usually blends with its surroundings. Broad brush formulae are only helpful to an extent. 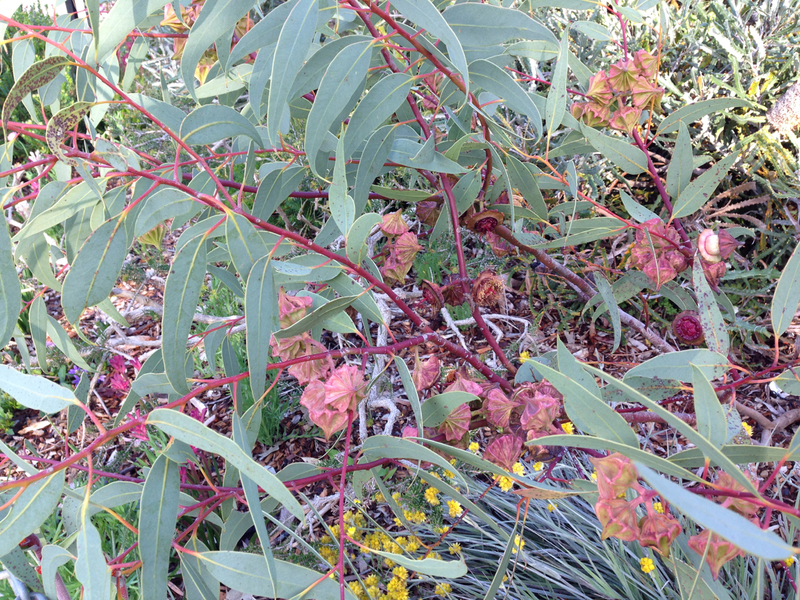 I like to take inspiration from local foliage colours, whether these are the indigenous colours of surrounding bushland or exotic colours in a suburban street. 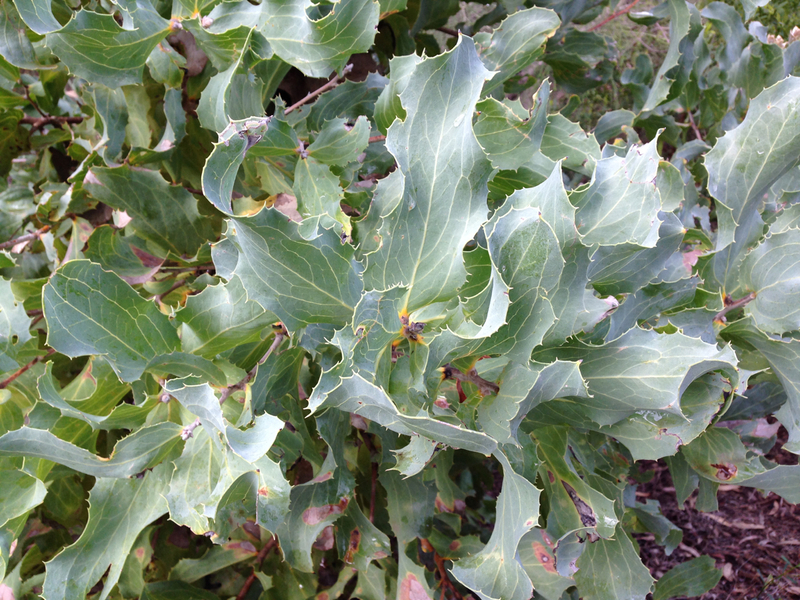 Foliage is visually dominant for most of the year and seasonal colour can be built up once the optimal base is set. As always, one size does not fit all. 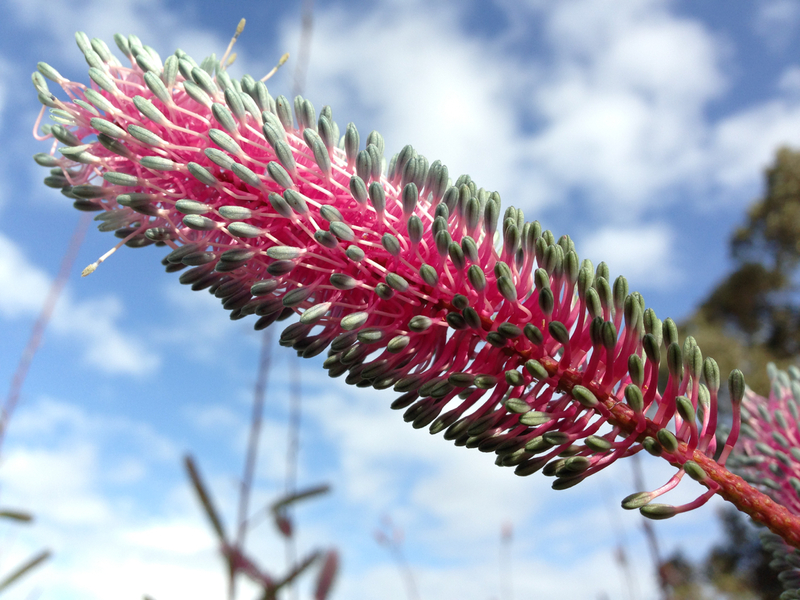 But it does make me happy to know that people see beauty across a range of plants, and in particular, that Australians do appreciate their natural flora. I’d hate to think, as Twitter led me to believe, that this country’s inhabitants were missing out on the incredible pleasures of these wonderful plants. Twitter responses are inherently unpredictable, I have found the same. Much is dependent on getting the timing right and as the stream moves on so quickly there is a relatively small window of opportunity to see each tweet. As you might expect I much prefer Photo 2 and the last shot too. It isn’t just Australians who should be making a beeline for Perth! Funnily enough, both Twitter posts were at an identical time and both midweek. But clearly that doesn’t mean an awful lot; I’m glad it’s not just me! So pleased you like photo 2. Do come and visit (Sydney’s nice, too!). Shot 2 definitely has the potential for an Australian ‘border’ – subtle yet still eye catching and to my mind wonderfully romantic. There are a more examples above with the ‘oooohhh’ factor too. The first photo is just like any photo you see of say Floriade or Keukenhoff or Tesselaar’s tulip festival – more of a ‘look what I can do’ than sophisticated garden. You need to develop a ‘sense of place’ (stealing your phrase Janna) to appreciate truly beautiful gardens and garden pictures. In the main though people do love to be wowed by bright colours – and why not, if that is what makes them happy. These dislays are transient in nature though (and need to be because who could live with them day in day out?) And they cannot really be compared to the feeling of permanence and subtle beauty of the gardens above. Can’t believe how much you make me think Janna! As you know Janna I’m a devotee of Australian plants and love their complexities and adaptations. Of course both photos 1 and 2 are of WA plants but I much prefer the second. I have seen everlasting ‘meadows’ in their natural habitat and they are quite breathtaking. I think its the contrast between these (what look like) soft delicate flowers and their very harsh surrounds that adds the huge wow factor. Quite simply, for me, the recreations of these ‘meadows’ are too perfect. 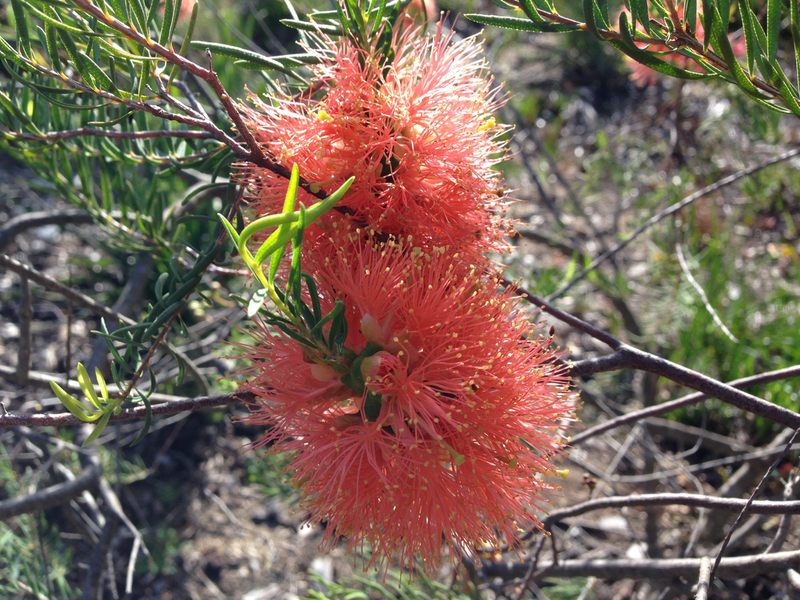 My Melaleuca fulgens have been flowering for some weeks now. I’ve decided the colour is apricot!? I agree totally with Adriana’s comment…especially re “permanence and subtle beauty”. Some of my bushes are approaching their 6th month of flowering but they are subtle. There is only a hint of colour. It draws me in to have a closer look…often. I don’t tire of them. 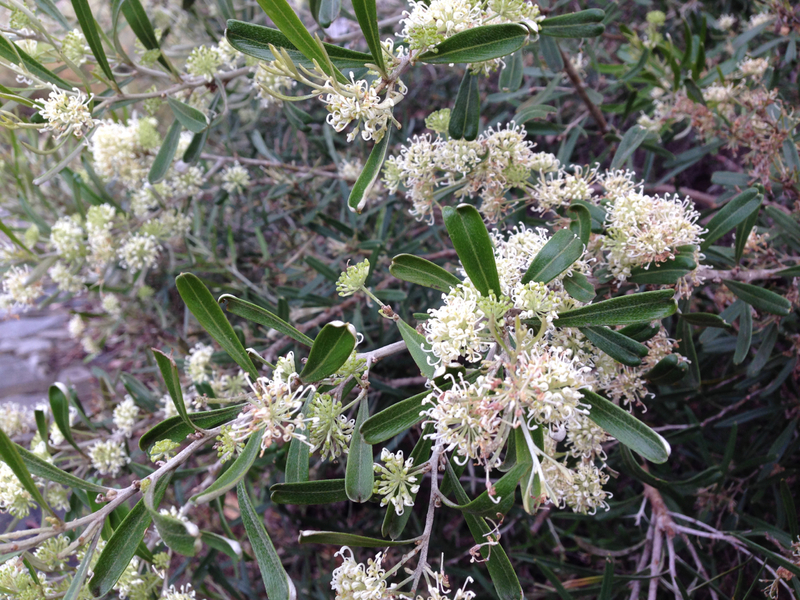 And when the flowers finally go I still have a lovely shaped silver-grey, green-blue, green bush. Arrh yes Janna, you also make me think. 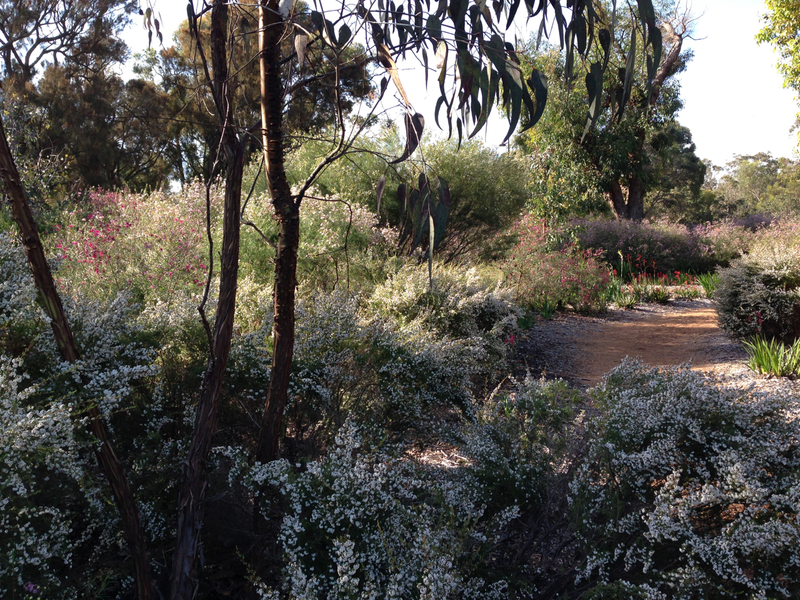 Funnily enough, I really like everlasting daisies, but when we visited Kings Park, I was wowed by the mixed plantings at least ten fold more. 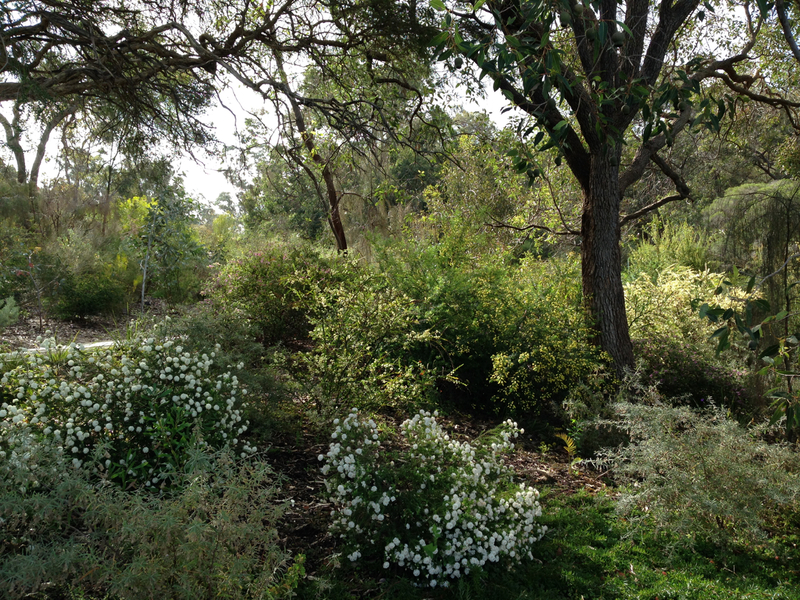 I preferred the daisies en masse when I saw them at Mount Annan last year actually; perhaps they were planted in a more natural setting. You have articulated that so well; the idea of a perfect meadow just doesn’t work here. That’s exactly what it is. Interestingly, one of my clients is about to plant a very natural native daisy meadow within the grounds of his large, rural property. I can’t wait to see it; I’m certain it is going to look completely amazing with the backdrop they have. And apricot….hmmm….are apricots really that pinky?? I thought I would do a little investigation re the colour of M. fulgens and consulted an artist friend. I sent her your photo in an attemp to control variables and I didn’t offer her any of our suggested colour names. Linda is not a gardener and I didn’t name the plant. So now I know it’s a pinky-orange and can call it salmon, coral, apricot…??? Lol…I’m so glad I solved that ‘problem’! Very interesting!! Orange it is then, and I’ll stop trying to be fancy! Oh no…….another place to visit! I must say I did sigh when I first saw the picture of everlasting daisies. To my eye it was quite stunning. All your photos are just beautiful Janna. I am beginning to fall in love with natives through your regular blogs on them and your love for them Janna. I must say they are not the first plant I would think of to put in my garden. But due to your enthusiasm and love, I have placed some in my garden. I suppose that’s what makes us all unique in our preferences for things in life including what we think is beautiful in the minds eye. Keep the blogs coming……I do feel a sense of excitement when my inbox says their is a blog waiting to read! You are very kind, Louise. Thank you for your encouragement. There are times when I feel so overwhelmed by ‘busyness’, that blog writing seems just one thing too many. But I do love it and sweet comments like yours spur me on to keep writing, no matter how busy I am, so thank you. You are quite right, it is so much better that we are all unique people with unique preferences. 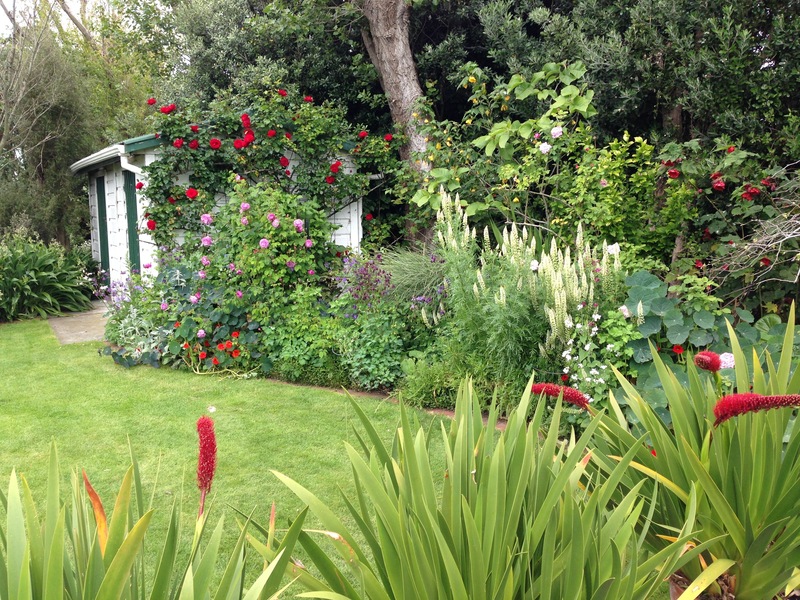 Wouldn’t it be boring if all our gardens looked the same? My only hope is that people get pleasure from a wide range of plants so that they don’t miss out and limit themselves unnecessarily. I was talking to another garden designer the other day who told me she loves natives more and more each day; it’s fun to broader our perspectives. I hope your garden is ‘springing’ into life. Do you know what? I think some everlasting daisies would work amazingly well in linking your natives and cottage plants. How about it?!! You are welcome Janna. Your passion is inspiring. Great idea! I will look into that one. Anywhere you would suggest buying them? 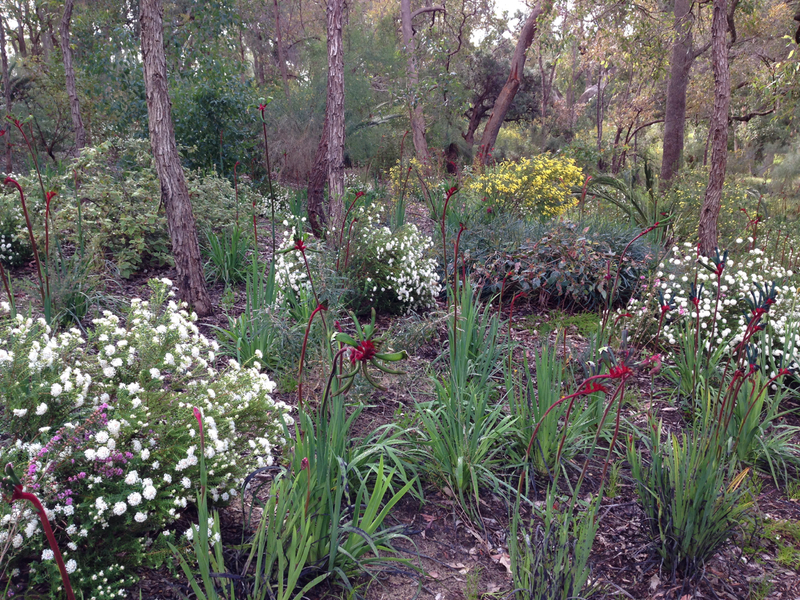 I used to get my natives from Yarralumla and the Heritage nursery now claim to have the largest range of natives in Canberra. But I’d be tempted to try throwing some seed down, which you’ll be able to buy quite cheaply and easily. They have a high germination rate and flower about 2-3 months later. If you sow them in late October in a sunny spot, they won’t get hit by frost and you should get to enjoy them in the summer. Let me know how they go! Thanks Janna. I wondered if seed was best. I will do that and send a picture when they are flowering!